If you want to find out when is the best time to visit the Netherlands then you better read on. Though the Netherlands takes pride of its favorable weather for the entire year, summer is believed to be the perfect time to enjoy the attractions under the glorious sun. Spring season is very popular for tourists too because this is the time of the year when the Netherland’s famous flower, the tulip, truly blossoms beautifully. These tulips bloom in late April through May. Such circumstance attracts numerous crowds from around the world. On the other hand, winter is also being enjoyed well by ice-skating aficionados. The season of fall, although generally cool and rainy, provides the lowest prices for budget-conscious tourists who would also like to experience the splendor that the country has to showcase. The peak season of tourist visits can also be a factor in one’s best time to visit the Netherlands. Tourists are flocking especially when there are special events and holidays. Queen’s Day is one example. This is the time when millions of locals and visitors take part in the wondrous celebration, particularly in Amsterdam. Prices in accommodation, airfares and food are relatively high in the months of April to August and every December. For budget travelers, low cost travel to the Netherlands runs in months of September to November and January to March. The best time to visit the Netherlands should also be considered to fully enjoy the attractions in the land. One of the attractions is the Vrijthof which is a city square located in Maastricht. Its main highlights include the Saint Jan’s Cathedral and Saint Servatius Church. Vrijthof Square is the usual venue of elaborate festivals throughout the year including celebrations of winter and fall. Another attraction is the Rijksmuseum which is the biggest and most prominent art and history museum in the country. The museum boasts an impressive collection of artwork from the Dutch Golden Age such as works of Rembrandt and Vermeer. Despite ongoing renovation, Rijksmuseum still has major art pieces on display. Windmills make the Netherlands distinct from most European countries and more than 1,000 of them are in its midst. The largest number of windmills is near Kinderdijk village. 19 windmills were built here during 1740 to drain excess water from polders. Until this day, these windmills are nicely preserved and worth a visit. Another attraction is the Hoge Veluwe National Park which comprises of heathlands, woodlands, and sand dunes. It is one of the Netherlands’ biggest nature reserves. Another is the Kröller-Müller Museum. It is a home to a vast collection of paintings by the legendary Vincent van Gogh, are within the premises of Hoge Veluwe. You can explore the park by foot but guests may also use available bikes without extra cost. Lastly is the Keukenhof Gardens is the largest flower garden on earth and one of the top tourist attractions in the Netherlands. 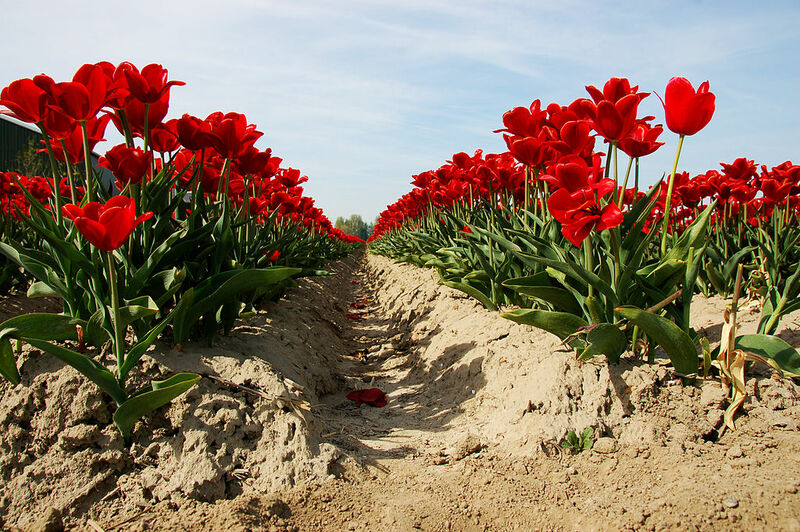 An estimated number of 7 million flower bulbs are planted here every year. Daffodils, hyacinths, tulips, and other spring-blooming flowers blossom in Keukenhof. The garden opens its gates on the last week of March and closes by mid-May.